Promotional flashlights personalized with your imprinted message are sure to be a great and useful advertising tool. A long lasting positive way to gain name recognition. Brighten your name or business with your name, logo or message custom imprinted on one of our many flashlights. 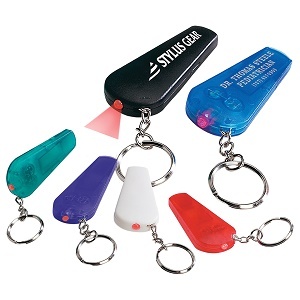 We offer many styles and sizes of not only customized flashlights but many other promotional tools. SET UP CHARGE: $55.00 for new orders / $30.00 on re-orders.